BRYAN EATON/Staff photo. 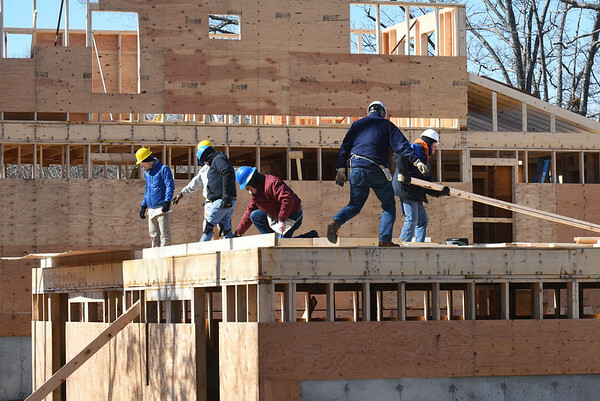 Members of Living Water Catholic of Amesbury volunteered their time Saturday helping out on the housing units of a Habitat For Humanity project. The housing will hold seven units on Old County Road in Salisbury.